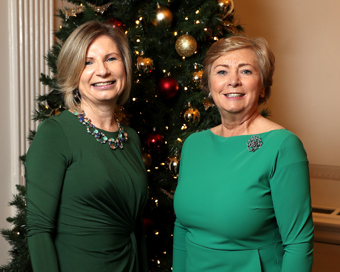 Frances Fitzgerald TD (pictured here with Liz Yeates), writer and broadcaster Maia Dunphy and presenter Anna Daly, joined over 300 guests at the Newstalk Christmas Lunch in aid of the Marie Keating Foundation in the Shelbourne Hotel, Dublin (6th Dec, ’18). The lunch raised over €30,000 for the Foundation’s cancer programmes and services, which are offered free of charge to men and women all over Ireland. 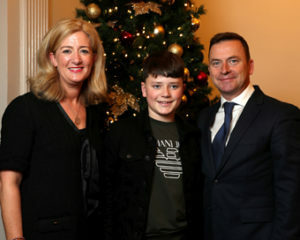 This is the seventh year Newstalk have hosted their Christmas Lunch in aid of the Foundation. (Photos: Jason Clarke). Pictured (l-r): Valerie, Josh and Gary Keating. Pictured (l-r): Maia Dunphy and Anna Daly. Pictured (l-r): Ashley MacGowan and Gillian Fox. Pictured (l-r): Caroline Hosey and Yvonne Joye. 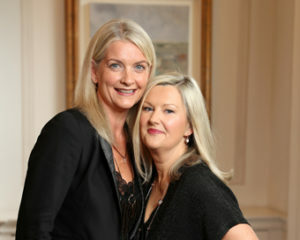 Pictured (l-r): Shane Coleman of Newstalk and Liz Yeates of the Marie Keating Foundation.